After party photos finally uploaded! Gosh, it's been a long time coming, eh? Sorry about that! They are up online now - you can check out our Flickr or Facebook group for the pics (feel free to tag yourself or your friends on Facebook). Also, we've been scanning the pages from the collaborative zine made at the 'Zinefest vs Mum' night at Cassette. Thanks everyone who came along and contributed! We hope you had fun. Images will be uploaded shortly (along with photos from the night) - watch this space! Don't forget we are just days away from the cut-off date for Zinefest 2010 applications. Don't forget to submit your application before the end of this month to ensure your spot! Applications received after May 31st will still be accepted, but will remain as back-up applications. Interview/article on Te Waha Nui. You can read it here. Thanks for coming and talking to us, Danielle! 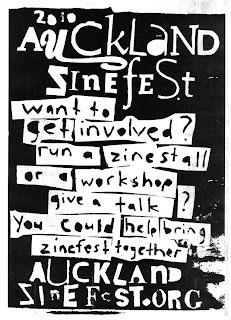 Don't forget that applications are still open, if you would like to be involved with Auckland Zinefest this year then please get in touch before the end of the month! Also, we will be partying/crafting it up on Friday at 'Zinefest vs Mum' at Cassette. If you'd like to be put on the door and get in for free, just email us with "zinefest vs mum" in the subject, and your names in the body. 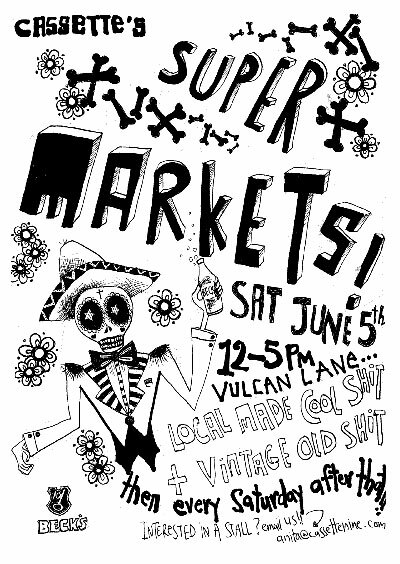 DHDFDS, Rackets, and Ghost Wave will be playing, as well as our friends Jas and Llama Dj-ing. And! Zine workshop in the VIP area - free drink voucher for everyone who contributes a page to the collaborative zine on the night (while they last). Click here to download an application form. 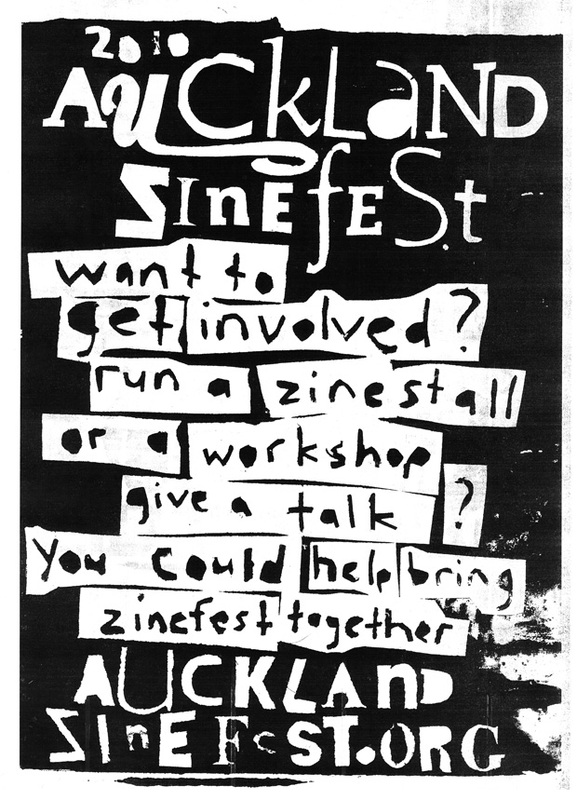 Applications can be returned by email to akzinefest@gmail.com, or by post: Auckland Zinefest, c/o PO Box 34708, Birkenhead, Auckland 0746. If you have any further questions or inquiries, please don't hesitate to get in touch! We'd be happy to answer any questions. PS Thanks to everyone who came to the Cassette Super Markets and said hi yesterday. We had fun too.